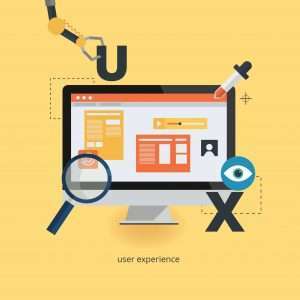 User experience (UX) is a crucial component of modern web design, and users’ expectations are constantly shifting. While it’s continually evolving, there are some trends that we can see on the horizon that are worth incorporating into any web and mobile app development project your business currently has on the table. Let’s take a closer look at five of the elements that we think make up great UX design now and for the foreseeable future. 1. User Journey – Creating a clean, easy to navigate user journey is critical and element number one of great UX design. Users typically engage with websites or applications with a specific intention in mind, so the goal for your design should be to get them the information they want as quickly as possible (i.e. in as few clicks as possible). If a user can’t find what they want, odds are they’ll leave your site and visit another site — which means you lose a potential sale. Don’t make them work for the information. 2. Content-Centered Experience – Creating content-centered experiences involve using design to highlight or frame the content you want to draw the user’s eye towards. If you have a promotion or video you want them to watch, showcase it and don’t clutter the area with additional content that might distract their engagement. Your ultimate goal should be to ensure there is nothing obstructing a user’s exposure to your website or application’s content. 3. Personalization and Humanization – Yes it’s true, artificial intelligence is here, but that doesn’t mean that your website and mobile app need to lose that human touch. Consumers still want to feel like they are forming a relationship with people and a business, not robots. Ways to create a more personal and human feel is to use the user’s name or offer location-based information and promotions. You can also use more calming colors, content that expresses human feelings, and images that evoke a feeling of familiarity and community. Another great way to achieve this is to incorporate video content. Video content allows the user to see other people and immediately feel more of a connection. 4. Voice-based Interaction – Smart-phones and tables are far more advanced now than they were just five years ago. In fact, they are becoming the most used devices for searching the web, so the UX principles of yesterday no longer apply — we should be designing for virtual assistance and voice-activated commands. 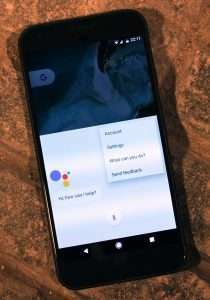 The latest smart-phones, tablets and even laptops are losing more and more buttons every generation thanks to voice user interface (VUI). Create ways for users to move around your site and find the information they want without having to click buttons or type in search information. Incorporating this into your mobile design will yield your business a key advantage and make user engagement easier for your potential customers. 5. User Behavior – The most important of all elements is to understand user behavior. Along with having a firm grasp of general user behavior online (such as how users typically read a page, how long they stay on most pages, how they scan, etc. ), understanding how consumers engage with your site specifically is critical. How do users engage on your site currently? What pages drawn the most attention? What do users do on these pages? Knowing this information will give you the information you need to redesign your website or create new pages and apps that are designed to support the way your consumers engage with your business online. If you haven’t already, add Google Analytics to your website and review the information it reports. Odds are, you’ll discover users aren’t using your website the way you envisioned. Ready to refine the user experience on your website or create a mobile app that is designed for optimal UX? Contact SBOS Web Solutions and let us show you how user experience is done right!